FISHING LAKE – THEY WON’T FORGET THIS TENT CAMPING TRIP ANY TIME SOON! 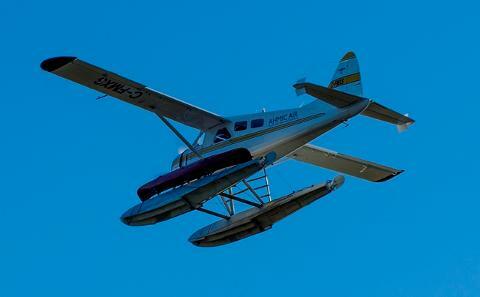 Let us fly you to Fishing Lake 92 km (57 stat miles) North of Yellowknife onboard one of our classic DHC-2 Beaver floatplanes. At the north end of Fishing Lake there are a couple of beautiful remote wilderness beaches that are ideal for play and just simple relaxation. Make sure to pack your favourite beach wear and a book! This location is great for all ages but the kids will love it. Depending on which beach you decide to camp there is a great fishing hole for Grayling and Trout at the in-flow of the river which is a short hike or quick paddle away. A canoe isn’t necessary but if you decide to take one there is ample Lake and River to explore. The lake is about 16 km (10 stat miles) in length from top to bottom. The more adventurous may choose to be dropped off only and paddle with the river’s current, back to Yellowknife. The package price includes the air charter for a drop off at the beach and a return flight to pick you up at the end of your camping trip. As trip extras you may consider transporting your own canoe (17’ or shorter) as an external load to the site, renting a canoe from Ahmic Air, and/or renting camping equipment for your stay. These options are available at check out. *The charter rates is inclusive of 5% GST, and all other charges and fees as stated in Ahmic Air's tariff with the exception of the canoe external load charge of $105.00 (inclusive) if required. DHC-2 Beaver aircraft charter from Yellowknife to Fishing Lake includes the carriage of a maximum of (5) passengers, personal baggage & cargo, not to exceed 510 kg (1120 lbs) to Fishing Lake and a return flight at a later time to pick up a maximum of (5) passengers, personal baggage & cargo, not to exceed 510 kg (1120 lbs) and bring them back to Yellowknife. weight of a canoe. As an example a 70 lb canoe will reduce the payload quoted above by 140 lbs. Quoted charter rates do not include any charges or fees related to trip outfitting or equipment rentals. If you have any questions concerning our Tariff, rates, and/or policies please contact us. You may also request a copy of our tariff or view the tariff we have posted to our company's homepage. info@ahmicair.com 867-920-4400. EXTERNAL LOAD - Available as option at checkout. CANOE RENTAL - Available as option at checkout. CAMPING GEAR RENTAL - Available as option at checkout. When booking online, payments to AhmicAir may be made through Visa, MasterCard or the Paypal gateway. An initial booking deposit of 25% will be charged at the time of booking and the balance of the charter contract will be charged 5 days prior to departure from Yellowknife.